Those lyrics make me glad that while I served, I never had to fire a live round at a living target nor had any live rounds fired at me. “Still in Saigon” was the first true song that I know of that showed true sympathy to those who served in Vietnam. 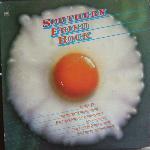 At the time, some thought it was a bit contradictory to their previous patriotic 1980 hit “In America.” There is nothing unpatriotic about “Still in Saigon” and if America apologised to the Vietnam Veterans for they way it treated them every day until the last veteran died, it might just be enough. For me, the song would come to mind in unfortunate circumstances a year later when my old unit got blown up in Beirut. One song made me think in 1982 but an entire album rocked the year away. 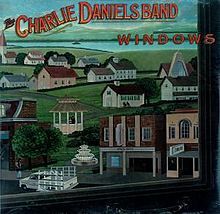 “Windows” proved to many, especially many up North, that the Charlie Daniels Band were certainly not one hit wonders. Before I start, I would just like to say that it was my birthday on Friday and my step daughter got me a really nice gift that I have to share here. 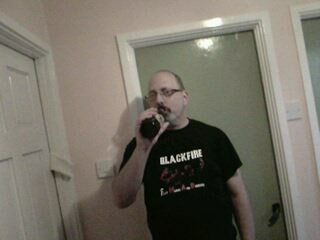 She bought me two bottles of Iron Maiden Ale. Whoa! In 1980, The Charlie Daniels Band was riding high thanks to their 1979 hit, “The Devil Went Down to Georgia.” They even appeared in the 1980 film “Urban Cowboy” starring John Travolta. I won’t go into great details about the film but I will say that the Texas accent put on by Travolta in the film was unconvincing and I’m from New Jersey. “Full Moon” first came to my attention in the summer of this year courtesy of the hit single “In America.” As a young marine feeling slightly frustrated that President Jimmy Carter hadn’t sent me to Iran to go and rescue the hostages single handed, the patriotic lyrics struck a definite chord with me. That and the rocky edge to the song and that is what The Charlie Daniels Band was so successful at. 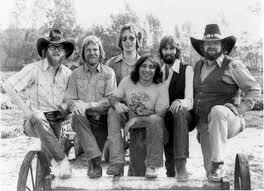 They made the country to rock crossover look extremely easy and as a result won many fans in both camps. 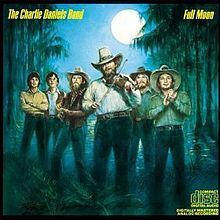 If anyone could unify rednecks and rockers, it was the Charlie Daniels Band. Their blend of country and rock was unique and worked on several levels. Proof in the pudding is in the “Full Moon” album. 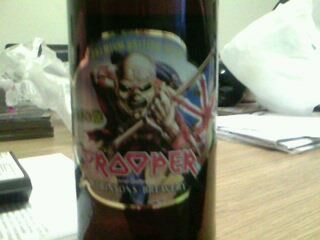 I might listen to it again while drinking my second bottle of Iron Maiden Ale. 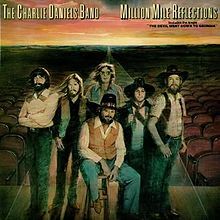 Of the Southern Rock bands I have featured for the past few posts, there is one who was the most successful in making the country- rock crossover, The Charlie Daniels Band. It definitely helps when you have a top ten hit in both the country and rock singles charts like they did with the famous “The Devil Went Down to Georgia.” When I first heard this classic hit, I was in North Carolina so I thought that it was just a good song that was popular in the South. Then I had my first 96 hour pass where I got to go home to New Jersey and found that the song was just as popular there. Charlie Daniels had definitely brought a bit of country to the rockers in the North and they liked it. However, there is one point I would like to bring up for debate; quite a few people believe that the Devil actually was the better in the fiddle duel. “Million Mile Reflections” was not a one trick wonder. There are some other great tracks on it that help it complete the crossover. “Reflections” is a slow but fitting tribute to Elvis, Janis Joplin and Ronnie Van Zant. Other tracks for me are a more melodic rock sound with some good displays of keyboards and guitar musicianship. One track, I’m pretty sure it’s “Blind Man” although I must remember to make notes when I’m listening to an album I’m reviewing, has the extended guitar solo that had become a characteristic of Southern Rock. “The Devil Went Down to Georgia” is probably the one song that focused people up north’s attention to Southern Rock. It could be said that it paved the way for the likes of Molly Hatchet and others and that it wasn’t just a bunch of hicks playing washboards and jugs. I learned in 1979, that there is true rock down south.